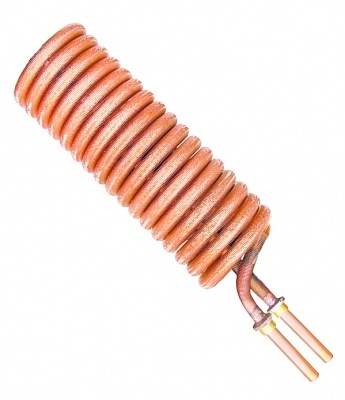 A finned copper coil to fit Jaspi & Akvaterm accumulators. This model comes without the tank flange and is a longer, more powerful version to our standard accumulator coils. It can be fitted to the accumulators of 1000L or larger. 22mm pipe connection, 950mm in length. Diameter 170mm. Maximum recommended flow 20L / minute.